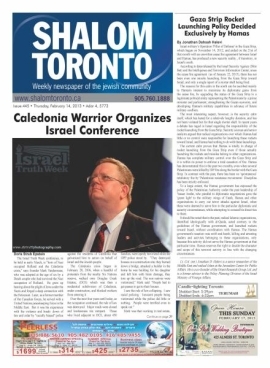 (UPDATED 2340 May 15/14) What if the Law Society of Upper Canada (LSUC) decided that no Jew who graduated from an Israeli university would be allowed to practice in Ontario because of Israel’s supposed ‘occupation’ of Judea & Samaria? Or that no Jew who graduated from a Yeshiva that teaches the Torah’s prohibition on homosexuality could be a lawyer in our province? Now you understand the frightening implications of the LSUC’s decision to ban graduates from the Christian-based Trinity Western University’s law school (British Columbia) from becoming Ontario lawyers because of the school’s Christian code of conduct that includes a ban on homosexual relations — a code that has been upheld by the Supreme Court of Canada. Ezra Levant has exposed this bigotry on SUN News, and a special website has been set up to explain the issues: TheRealBigots.com. 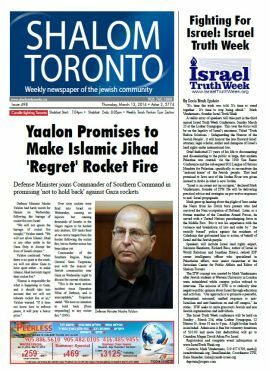 Gary McHale’s (author of Victory In The No-Go Zone; speaker at 3 Israel Truth Week conferences) CANACE (Canadian Advocates for Charter Equality) is holding a rally tomorrow — Friday, May 16/14, 11:30am at the Law Society of Upper Canada offices in Toronto, 130 Queen Street W. — to request that LSUC rescind its anti-Christian decision. See the media release below for details. This isn’t about whether or not you support or don’t support gay lifestyles; it’s about Freedom of Thought, Freedom of Association and Freedom of Religion. These things matter no matter your ‘orientation.’ Banning Christians today makes it possible to ban Jews tomorrow. It’s disgusting and it has to be stopped. Now. Friday, May 16 at 11:30 a.m. The recent vote by the Law Society of Upper Canada to ban all students who may graduate from Trinity Western University turns back decades of advancement in civil rights whereby our society has come to believe people should be judged by the strength of their character and not by the colour of their skin. Freedom of religion, conscience and association coexist with the right to be free of discrimination based on sexual orientation. Even though the requirement that students and faculty adopt the Community Standards creates differential treatment since it would probably prevent homosexual students and faculty from applying, one must consider the true nature of the undertaking and the context in which this occurs. Many Canadian universities have traditions of religious affiliations. Religious public education rights are enshrined in s. 93 of the Constitution Act, 1867. Moreover, a religious institution is not considered to breach B.C. human rights legislation where it prefers adherents of its religious constituency. It cannot be reasonably concluded that private institutions are protected but that their graduates are de facto considered unworthy of fully participating in public activities. While homosexuals may be discouraged from attending TWU, a private institution based on particular religious beliefs, they will not be prevented from becoming teachers. Clearly, the restriction on freedom of religion must be justified by evidence that the exercise of this freedom of religion will, in the circumstances of this case, have a detrimental impact on the public school system. There is nothing in the TWU Community Standards, which are limited to prescribing conduct of members while at TWU, that indicates that graduates of TWU will not treat homosexuals fairly and respectfully. The evidence to date is that graduates from the joint TWU-SFU teacher education program have become competent public school teachers, and there is no evidence before this Court of discriminatory conduct. It is truly amazing how liberals work in our modern society. They claim to want equality and freedom for all… but… only as long as you agree with them. The LSUC wants to throw out parts of our Charter of Rights and Freedoms, dismiss hundreds of years of Constitutional law, reject the authority of the Supreme Court of Canada and return us to the day of people being judged not as individuals but by which identifiable group they belong to. 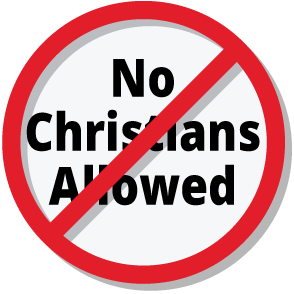 CANACE is calling upon people to denounce the LSUC anti-Christian Bigotry and to publicly protest against a Law Society that is rejecting the fundamental freedoms of our society. Join us on Friday May 14 at 11:30 outside LSUC at 130 Queen Street West, Toronto. This is interesting. First of all, the analogy [see opening para at top of page] does not work because the school being referred to is a Canadian law school and there is some domestic policy control, whereas in this example there is no control over a foreign law school. If a new Canadian wishes to continue his previous profession of law then not only should he have to be retrained in Canadian law and sit his exams but part of that training should be in Canadian legal ethics as well. That is my opinion and I do not know if that is or is not the case. 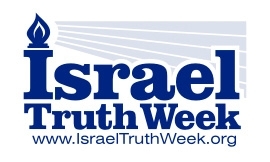 What if the same christian law school taught that Jews were Christ killers and were doomed to everlasting damnation, that the Holocaust was G-d’s latest punishment for ongoing rejection of the true Messiah? Should these graduates be welcome? Do you want them to sit in judgment on future cases? Perhaps they should also have to take retraining in Canadian legal ethics before sitting exams? All judges and lawyers come from their own biased backgrounds and I think we have to have a strong educational ethics program based on Canadian values before anyone sits their bar exams. 1. If the Law Society of Upper Canada (LSUC) can ban new Christian grads today, what is so difficult about believing, now they’re on this track, that they can also look at undergrad degrees (req’d for law school)? Once you do that, it’s pretty easy to ban Jewish grads of Israeli universities and yeshivas for Israel’s supposed misdeeds? 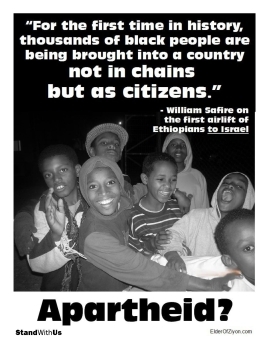 Already, there are boycotts of Israeli academics and businesses, so it’s not farfetched at all. 3. The LSUC is supposed to respect the law. This is an accredited university which has been to the Supreme Court of Canada to certify its right to exist as a Christian school. Read the Supreme Court decision excerpt below [above]. 4. Your point about ethics is well taken, and that is the solution. All people have their own biases, so if we’re going to ban everyone from being a lawyer who could have a conflict of interest with someone else, we should disband the entire justice system. I.e. 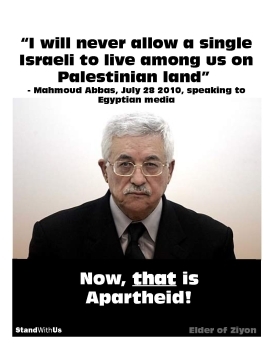 should we ban Arabs and Jews from being lawyers because of the Mid-East conflict? Of course not, because ethics is an important part of being a lawyer. Someone who rises to be a judge has proven they can stick to the law. Also, a judge who holds strong views on a particular subject that prevent him from judging fairly can either recuse himself if he can’t be impartial, or one of the parties can request that he do so. What we don’t do is arbitrarily ban students from a particular religion from being lawyers. If we go down this road, the LSUC will be investigating the background of every single student to make sure they hold the ‘correct’ opinions on every important, controversial issue in society such as abortion, legalization of drugs, Israel, Islamism, etc. That’s pretty scary stuff, and that’s not the country I want.